My friend, Evelyn Hood is a former journalist. 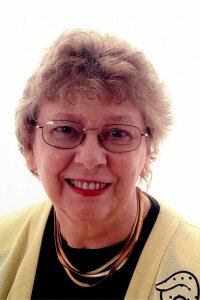 She probably best known as the author of family sagas mainly set in her home town of Paisley, Renfrewshire, Scotland and on the Scottish Clyde Coast. Although she is the author of over 40 novels and of ‘Forward by Degrees’, a history of the University of Paisley. The history was commissioned to mark the centenary of the University as a place of further education and was published in April 1997. Evelyn is always busy! She runs the local book group in our library as well as another in Largs, Ayrshire. Her fortieth novel was published last month and she has also published six one-act stage plays, a Scottish pantomime, a children’s musical and a number of short stories and articles. Most recently, with three writing friends she recently set up a small online publishing company called Bubblyjock, and their first venture, a book of short stories with the title ‘Take Ten’, is now available on Amazon for Kindle owners. Her hobbies include reading and amateur drama, and she lives on the Clyde Coast. Although I have been friendly with Evelyn for some years, I had never previously read any of her novels. In Time and Again when Sander Weir dies he leaves his grand house and his business to Morag, the girl he and his wife raised as their own daughter. Sander’s brother Lawrence, is Morag’s biological father and he and his wife feel that he has been cheated of his inheritance. As Morag’s father, who abandoned her as a child, Lawrence makes it clear that he should have control of her new-found wealth. However, Morag finds the courage to defy Lawrence and run her own affairs. She does this with the support and encouragement of Cal, the captain of one of the cargo boats she now owns and Aidan, her young lawyer. During the story Morag requires to overcome many obstacles. These include the death of a friend, a storm that endangers her life, and the storm that damages the small Clyde ‘puffer’ (cargo boat) of which Cal is the skipper. She also finds out that her book-keeper has conspired with Lawrence to embezzle large sums of money from her business. Morag reacts very benignly to the embezzlers. I doubt I would have been so charitable! I really enjoyed this book and found it very easy to read. I found characters to be well drawn and the dialogue was realistic. Still, I did see the end coming very early on. Still, it is a lovely story and I highly recommend this book. 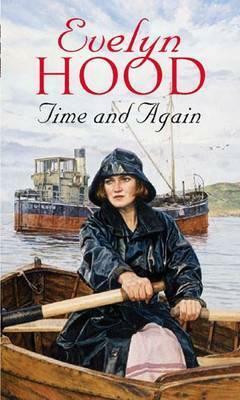 I love Evelyn Hood’s books. The characters are so believable.